guest comfort, low flow fixtures has been used in the hotel. This not only ensures that lesser water is consumed but also ensures that less energy is wasted on pumping and treating waste water. Energy is a major contributor in the expenditure of commercial facility. Also keeping in mind YE variable occupant load in the facility, a VRV system is proposed. This leads to less energy consumption resulting in lower operation costs hence providing exceptional guest facilities. My stay was very pleasant. All staff members are professional .Restaurant is well equipped. 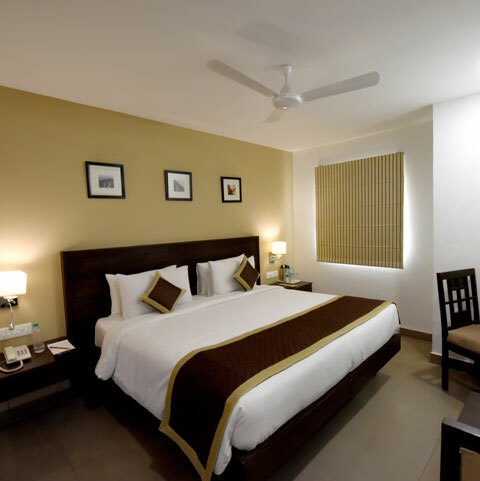 Here, you can relax yourself in our elegantly designed, luxurious and air-conditioned rooms and suits which are well equipped with modern facilities. Here each room receives ample sunlight and is designed to give you best of the comforts. You can access free Wi-Fi connectivity to work on your laptops or mobiles and communicate with your friends and relatives, send them pictures of beautiful pink city and off course your booked room too. 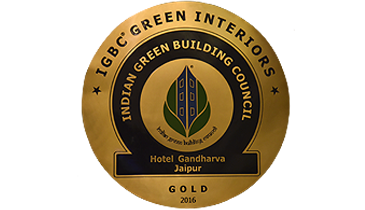 The quality services offered in the rooms, restaurant & hospitality by the staff make Gandharva Hotel Jaipur by peppermint one of the finest 3 star hotels in Jaipur. We also provide mouth-watering delicacies at our dining area. For shopaholics and families, Hotel Gandharva is the best option as the shopping areas and famous markets of Jaipur are not far away to the hotel. You can use a taxi service to reach the famous markets. If you are looking for a Jaipur hotels near railway station then give us a chance to offer you the best services. At Hotel Gandharva, personal touch and professionalism go hand in hand to cater to the expectations and needs of ever-demanding clientele. The hotel is closely located to several well-known tourist attractions like Hawa Mahal, City Palace, and Jantar Mantar. 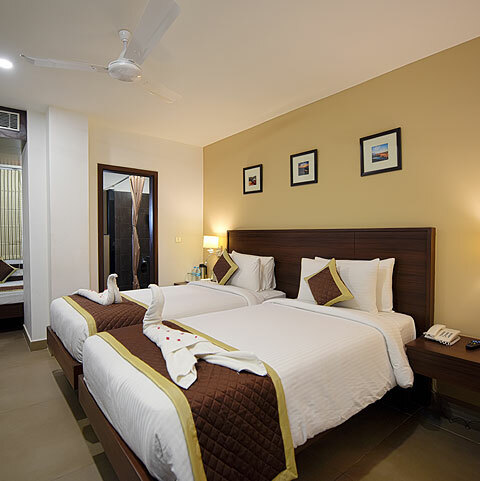 If you are looking for hotels in Jaipur near railway station, Hotel Gandharva is the best choice because this budget hotel in Jaipur, India suits all tastes whether you are coming for a business meeting, family holiday, exams or any other reason. It is one of the best Jaipur hotels near railway station and bus stand. As one of the best budget hotels in Jaipur, we have the quality in every sphere of our suites. It is a women-friendly and senior-friendly hotel which ensures proper security and comfort. A stay at Gandharva hotel in Jaipur can be one of the most amazing experiences of your stay in Jaipur hotels you have ever visited and that too in your budget. Hotel Gandharva is passionately designed and family managed hotel which has open and lush green surroundings, well-maintained and clean rooms, hygienic food and elegant infrastructure. We have modern facilities with relaxed atmosphere and friendly staff. 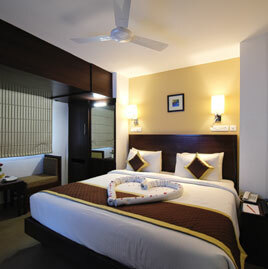 Here, you are rest assured to get homely feeling when it comes to relax and unwind at your room. Hotel Gandharva in Jaipur by Peppermint offers spacious and comfortable accommodation to its customers with best of the dining facility at affordable rates in Jaipur. You can read customer reviews too and can make an enquiry anytime to our staff for any of your query. We provide a widest range of accommodation options and we are known for having well-appointed and spacious luxurious rooms that are designed to provide a home away from your home, whether you are a leisure or business traveler. Travel around Jaipur city, the capital of the Indian state of Rajasthan in Northern India, founded by Maharaja Jai Singh II. Explore Jaipur city which is popularly known as the pink city and its culture with your stay in Jaipur for at least a week. Make your business trip or family trip more enjoyable with a pleasant stay at Gandharva Hotel in Jaipur. Contact us to Book Hotel Rooms or Restaurant Table today! At Gandharva hotel in Jaipur, Rajasthan our team is committed to provide the best hospitality service and experience of brilliant stay to all our customers. Contact us today for hotel room bookings or enquiry by calling us on any of the numbers +91 9828866663 (M), +91 7230072275 (M), +91 141-4032323(L), emailing us on om@gandharvahotel.com or alternatively you can simply fill out our enquires form or contact form.